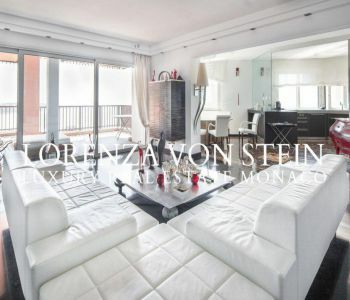 Very beautiful apartment under the law, completely renovated and offering a total area of 135m2 plus 35m2 additional space in the basement with communicating stairs. 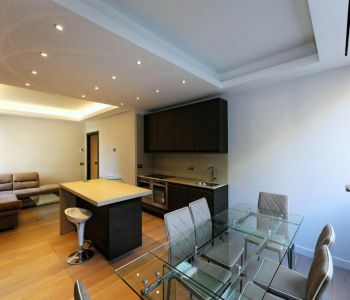 The apartment consists of a large living room with open kitchen, 3 bedrooms, 2 bathrooms. The basement can be used as a large storage room, laundry room or gym. The apartment is offered with parking. Very high quality finishes! 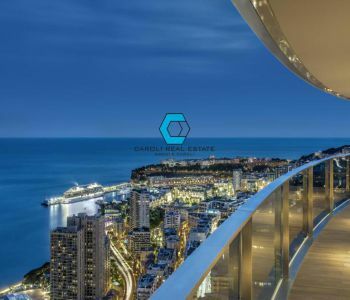 SOLE AGENT : Outstanding and unique loft-style home with a panoramic and splendid view over the harbour, the sea and the Palace of the Principality. 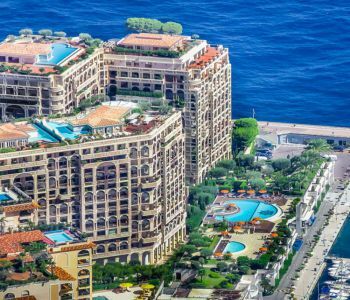 Only some steps away from the Hotel de Paris, the Casino and the most beautiful SPA 'LES THERMES MARINS', with its sophisticated sports-equipment and the magnificent salt-water-swimming pool , this very chic apartment is ideally located in the heart of Monte Carlo. 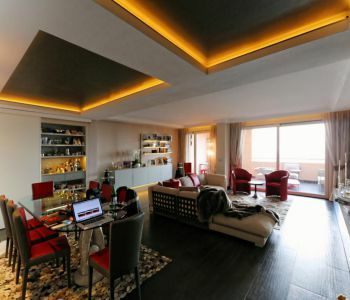 Steps from the Casino Square, this fabulous duplex penthouse is located on the top floors of an elegant art deco building 'The Victoria Palace'. 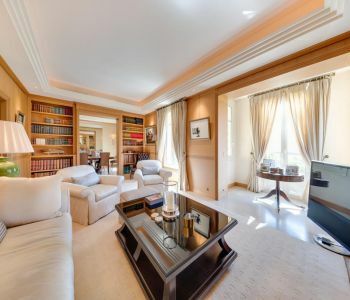 The property has undergone luxurious and tasteful renovations, featuring beautiful white marble and light hardwood floors throughout. 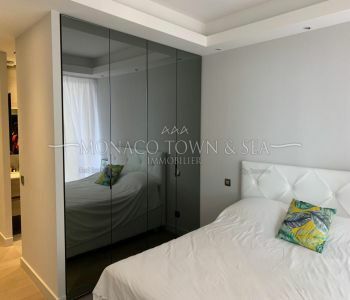 Paired with the property's beautiful large bay windows, all rooms are incredibly bright and offer stunning panoramic views of the Principality. The front door opens to a generous double living room which sports exquisite views and an abundance of tastefully disguised storage spaces. On the same level, a sleek and modern kitchen, as well as two large bedrooms with their respective en-suite bathroom and walk-in closet. 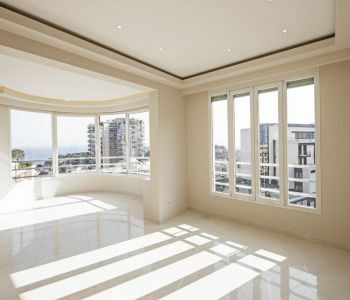 The beautifully designed staircase leads to the last floor which accomodates two further bedrooms in addition to the breathtaking South West facing roof terrace which offers sweeping views of the Mediterranean, Castle and skyline. The property comes with a staff bedroom, a cellar and three parking spots. In the district of Fontvieille, a few steps from the lively harbor life, the Princess Grace Rose Garden, beaches, crossroads, in a sought after residence of very high standard with concierge and beautiful swimming pool, splendid apartment for sale 4/5 Rooms entirely renovated with materials of excellent quality which benefits from a beautiful panoramic sight on the sea of almost all the rooms and with very beautiful terraces. The renovation combines functional and design. The open spaces have been arranged intelligently in storage or as for example a hidden bar. A magnificent fireplace in the living room.